Get set for World Television Day on November 21st! This day was officially identified by the United Nations General Assembly in 1996 to acknowledge and commemorate the role that television has played in providing the world with ongoing information and communication. 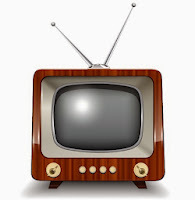 Television has not only provided the world with universal links to social, economic and political developments, but has also been one of the most important drivers of technological developments in entertainment and communication. Find recommended links for your students here!